What do you think whoopee means? I’ll give you three guesses and the second two don’t count. There’s an extended scene where two men keep examining each other’s scars. One man takes the opportunity to keep looking down the other man’s pants. The bulk of the serious romantic plot revolves around the possibility of miscegenation. For those of you who weren’t around for Call Her Savage, miscegenation is a mixing of races. The two lovers can’t be together since one of them is mostly Indian, and she’s a white woman. Luckily this ends about as you’d expect from a Pre-Code (“It’s okay! He was secretly white the whole time!”), backing quickly and shamefully away from the rest of the film’s lurid implications. Here’s the titular song, “Makin’ Whoopee” as sung by Eddie Cantor. It’s implying a lot of… you know, just about everything it couldn’t during the code. The choir sings, "Here comes the bride"
What's this I hear? Or can't you guess? The judge says, "Bud, right into jail. And another good eye roll for comedic measure. Still funny on occurrence #12. Eddie Cantor must be an acquired taste. He’s meek, but has the demeanor and timing of Groucho Marx. He acts with his eyes, using exaggerated facial expressions, heavy sarcasm, and groan-inducing puns to get him through a film. A little goes a long way, and whatever ‘little’ is, Whoopee! has got a lot more than that. He stars in the film as Henry, a hypochondriac ne plus ultra. He’s got, has had, or plans to have every ailment known to men. Luckily, Henry is a millionaire, so he can indulge. He’s waited on hand and foot by a lovely and obsessively doting nurse, Mary (Ethel Shutta). Mary’s constant attempts to pin down Henry for anything more than delivering a couple of pills drives him up the wall. That’s where the main romantic situation arrives, to give Henry a chance to escape. You see, Sally (Eleanor Hunt) is in love with Wanenis (Paul Gregory), but she’s engaged to Bob (Jack Rutherford)! Wanenis is, unfortunately, part Indian (or thinks he is), so he can’t get with Sally without having her father and the sheriff after him. Sally’s in a bind, so she arranges to run off with Henry, leaving behind the distinct impression that they’re going to be wed instead. There’s a great deal more that happens in the film, though I can’t for the life of me recall why it seemed to occur. Henry and Sally end up in a mansion tending to a rich man that he’d earlier robbed, working as a chef. After making a batch of horrendous looking wuh-ffles (Cantor’s pronunciation of “waffles” for some reason), getting exploded in an oven (it’s not worth explaining, trust me), and being mistaken for a black man for about twenty minutes, he and Sally run off again. This time they head to the Indian reservation to finally unite Sally and Wanenis and so that Henry, bless his soul, can dress up like an Indian and speak in broken English. The big revelation that I mentioned up in the Proof section occurs, and Henry finally submits to his nurse. I’ll get into the racial politics of the film in a second, but let’s dive into its origins a bit. Ziegfeld and Pre-Code Hollywood loved showing off the female figure, so we’re treated to an extended sequence where a number of female Indians march through and lift up their blankets to reveal negligees of varying naughtiness. Yes, these women are all very blonde and white but dressed as Indians. No, I have no idea how to read that. Adapted from an incredibly popular show, Whoopee! came from Broadway with its star, Cantor, fully intact. The production had been shut down at the height of its popularity because producer Florence Ziegfeld lost so much in the stock market crash of 1929. Ziegfeld, for those of you unfamiliar, was the reigning prince of Broadway in the late ’20s. 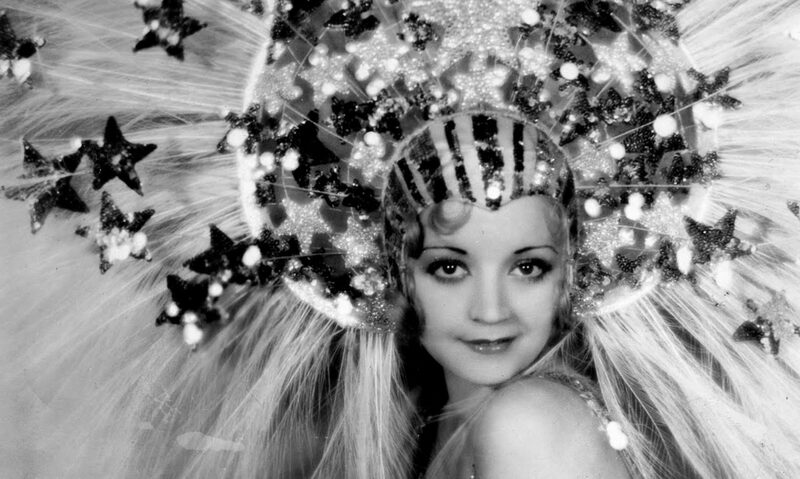 He produced a series of variety shows called The Ziegfeld Follies which ran for over two decades as well as musicals like Show Boat and Rio Rita. (The Follies may or may not have had something to do with how I named my Pre-Code retrospective.) His Follies often emphasized beautiful women, ribald jokes, and a glorious sense of comedic anarchy. Much like Andrew Lloyd Weber or Steven Sondheim, his career left an undeniable effect on theater, and, by virtue, Hollywood. When talkies came about, Ziegfeld’s popular shows were immediate attractions to the film industry, and, with the stock market crash, he went to United Artists with the rights to try and regain some ground. Three were turned into all-star Technicolor musical marvels, and lavished upon in every detail. Taking it to Hollywood, they brought choreographer Busby Berkeley (though, like in Night World, his work wasn’t really the centerpieces of the film) and star Cantor and retooled it modestly to be an ideal romantic comedy musical thriller. The film is framed on a number of sets (that look incontrovertibly like stage sets) with tons of dancers in identical, exaggerated costumes. The cowboys here are about as realistic as Cowboy Curtis from “Pee-Wee’s Playhouse,” but with none of them managing to look quite as suave as Lawrence Fishburne always is. Impossible standards? Yes. But there’s more here than a failure to live up to Morpheus’s example. This is, to be polite, shameful. Completely shameful. Anyone who’s interested in the portrayals of race on film will get an eyeful with this one. Cantor gets to spend a good ten minutes in black face, dresses as an Indian and exaggerates his speech moreso than you see in your average Bugs Bunny cartoon, and he’s Jewish– literally every minority gets it in the ribs at one point or another. Such overt and unapologetic racial comedy doesn’t play so well these days, making these bits stick out like a sore thumb. Which, I guess, at least makes them stand out, unlike 50 of Cantor’s worst jokes strung together, but still. The film’s treatment of Native Americans is fairly deplorable, as, when Wanenis finally learns that he’s not part Indian at all, he celebrates without a hint of remorse. He’s also portrayed as smarter, handsome, and the only one who doesn’t speak in broken English– remarkable considering he was brought up by Indians. The Native Americans even let Cantor into their tribe, at one point, which is also pretty far from flattering to say the least. But that film at least contains Native American actors, who are even given the chance to react to Eddie Cantor’s schtick, whereas the film’s portrayal of African Americans is just painful, painful stuff. “Who do you think I am, Amos and Andy?” Cantor asks at one point. Jesus. This is probably not how Indians look. Or acted. Racial hatred drips from her mouth with no regret. It’s one of the most sudden and ugly displays of racism I’ve seen, and dropped so casually that it’s waved off two seconds later when Cantor shows off his Caucasian palms. The female protagonist of this film recoils at the idea that a black man would be allowed to touch her. We’re supposed to like her, we’re supposed to root for her. Dear god, it’s so completely humiliating to watch this as a human being. Eddie Cantor himself has the demeanor of Groucho Marx. Both exaggerate their ideas, wiggle their eyebrows, and enter their own vortexes of reason unto which no traveler shall return. However, the main difference between the two can neatly be summed up as ‘quantity versus quality’. Groucho’s brothers, Harpo, Chico and occasionally Zeppo, gave comedic cyphers for the unflappable funny man to play against. Moreso, Groucho knew when to shut up and let a scene run. Cantor can’t do that. Besides some long overblown singing sequences (80% of them being just people singing at the camera, making them perfect for bathroom breaks and short naps, mind you), the only thing the movie has is Cantor. Well, and Ethel Shutta as the very funny obsessive nurse, but I’m beginning to worry that I liked her so much simply because her obsession with Cantor’s character was completely incomprehensible, thus funny. Oh, and she punched him a few times. Did Busby Berkeley choreograph a number in this film? Why yes. Yes he did. The best you can say about Whoopee! is that it’s representative of a popular and enormous film that looks dated and incomprehensible.It’s a shame that the movie is so terrible that it doesn’t warrant much consideration, either as a curiosity of American culture or something that could use a good restoration to demonstrate just how good the Technicolor really was. I don’t see those happening, since this has neither the reputation of Birth of a Nation nor the quality of Gone With the Wind to make such a restoration even vaguely worthwhile. Also, in case I didn’t mention it before, it’s extremely hard to sit through. The Bright Lights Film Journal (a publication to whom I’ve determined I will someday submit an article to, once I think of a good one) reviewed Whoopee!back in 1998. It’s also a glowing review for the film’s content, though it admits that a little of Cantor goes a long, long way. The Trivia section dives into Betty Grable singing and dancing the opening number and her problems in her early career (she couldn’t act! ), and also shares a number of the many pop culture references from the late 20’s that would be lost on us today. On a slightly different note, that Bright Lights review ends on what can best be described as a complete non sequitur. Author Alan Vanneman, after spending a bit waxing on about gay cowboys (see above) and finally admits that Cantor gets unbearable after a bit, he delivers this penultimate line: “the rest of this film is imperishable, a monument to the twenties’ unabashed optimism and love of display as enduring as the Chrysler Building or the Radio City Music Hall. And it beats the hell out of Trainspotting.” Wait, what? I can’t even begin to imagine the link between these two movie’s existences. I guess the anger had built up for Vanneman so much that he simply had to get that off his chest, which is somehow worse since Trainspotting came out in 1996, and the article is from 1998. I’ll have to remember this for the next time I write for a publication so that I can finally toss off a line about how much I still do not care for A Life Less Ordinary. In case you were wondering about all the Technicolor in this film and the technology behind it, give this site a shot. The third page behind the link gets to Whoopee! in specific. And in case you wanted to know more about Florenz Ziegfeld, favorite-around-these-parts actor William Powell starred as him in the 1939 film The Great Ziegfeld. Which, to be honest, isn’t exactly anything resembling true and ranks up there with some of the worst films to ever win Best Picture, but it gives you an idea of how Hollywood and the world imagined Ziegfeld to be and, hey, you asked.